it\'s two function hand tools. When you want to install one button on ur cloth or bags or anything else. you can use the first part to make a hole. also you can use the cm marks to measure. then you can use the main part of our plier to press the button. it is easy to use. you will like it. 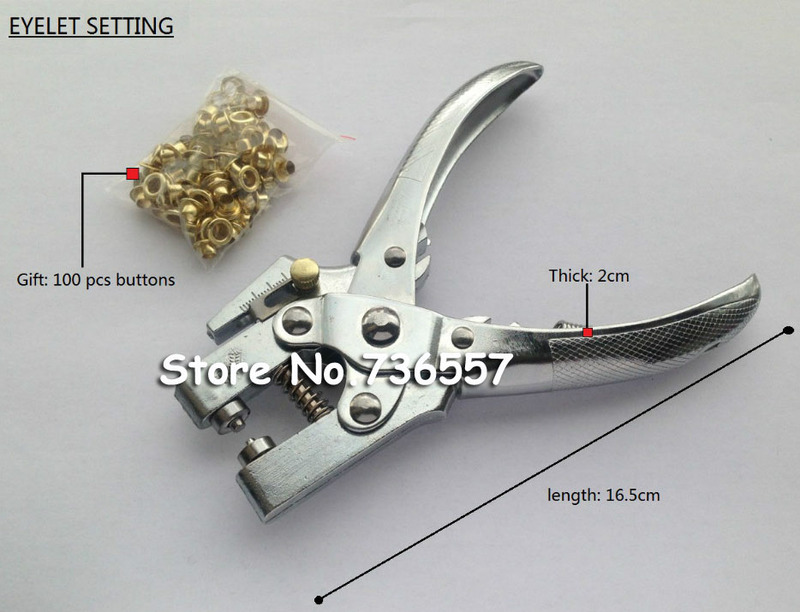 Package Includes: One eyelet setting plier and one hundred buttons.